The wetroom or walk in shower is for many consumers their ideal choice when thinking about their ideal bathroom or en suite, outselling regular shower enclosures. 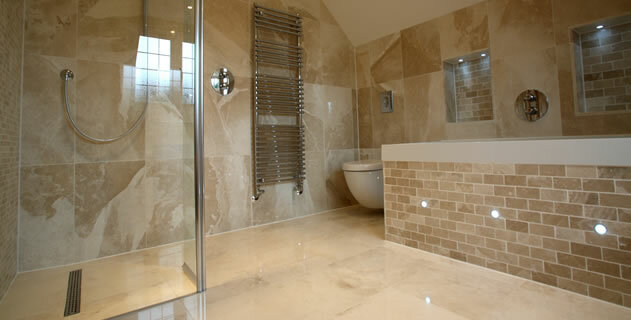 Wet rooms in Hyde look stylish and streamlined. They are architectural, conceptual, built-in, and provide the illusion of space and open plan living. A wet room is basically a completely tanked, water tight space incorporating a purpose made wet room base that features a gentle slope to allow the water to drain out swiftly. And when coupled with modern-day design led showers from leading European manufacturers the result is a fashionable feature that is appreciated by the whole family. 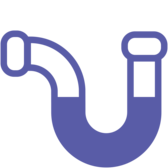 Blocked Drains Local plumbers for 24/7 Drain Cleaning Support. Thinking of a Wetroom Installation? Looking at a wet room installation? Wetrooms are a specialist’s installation and take a lot of care and expertise when fitting. The wetroom department of A F Home Improvements Ltd are specialists in the supply, installation and maintenance of wetrooms. From initial site survey to the recommendation and sourcing of the right materials on your behalf through to the specialists skills involved with creating the perfect wetroom you will be in dependable hands with A F Home Improvements Ltd.
A F Home Improvements Ltd also specialise in the design installation and repair of Wet Rooms in Hyde. Wet Rooms are still a rather new concept but fundamentally gives more shower area in the bathroom and improves drainage. Wet Rooms may also feature underfloor heating. There are tons of unique choices with Wet Rooms something for everybody and everybody’s taste. There are traditional Wet Rooms with basic layouts, shower enclosure Wet Rooms in a range of different sizes and shapes. Walk in showers are also an option that’s available. Open spaces, clean lines and a super classy contemporary design. All this is possible by the installation of a wet room in Hyde. An ultra modern appearance which has countless advantages for today’s living that can also future proof your bathrooms. For essential, correct advice on a product that can increase your property value as well as give the ‘wow factor’, contact A F Home Improvements Ltd now. It could be your bathroom we’re describing!